"We have to be very, very skeptical," of any theoretical agreement North Korea makes about its nuclear program, says former CIA senior analyst and senior fellow at the Center for Strategic and International Studies Sue Mi Terry. 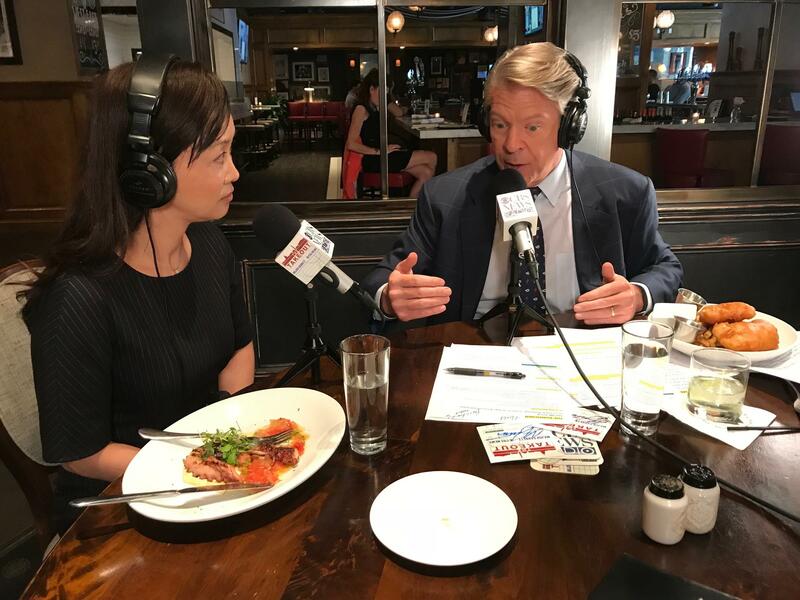 "North Korea could absolutely agree to a lot of things like they have before, and there could be even an agreement that's produced," Terry told CBS News' Major Garrett on the latest episode of "The Takeout," over lunch at Pennsylvania 6 DC. "We can have a beautiful joint statement," and it could very well appear successful, Terry explained, "but we will not know whether that's truly successful until North Korea truly denuclearizes -- and obviously we were not able to achieve that in the past 25 years." Terry pointed to several occasions in the last two decades when North Korea agreed to make concessions and limit its nuclear program, but "every single time, it fell apart over verification," she said. Those concerns are shared by Secretary of State Mike Pompeo, who met with North Korea's top nuclear negotiator and trusted aide to Kim Jong Un, Kim Yong Chul, this week in New York, as part of an effort to hammer out the details of a possible summit between President Trump and North Korean dictator Kim Jong Un. "It will take bold leadership from Chairman Kim Jong Un if we are able to seize this once-in-a-lifetime opportunity to change the course for the world," Pompeo told reporters Thursday. "President Trump and I believe Chairman Kim is the kind of leader who can make those kinds of decisions. And that in the coming weeks and months, we will have the opportunity to test whether or not this is the case." President Trump announced last month he would meet with Kim Jong Un June 12, but within two weeks scrapped the plans for the Singapore summit in a letter to North Korea's chairman, citing "tremendous anger and open hostility displayed" in some of the regime's recent statements about the U.S. government. Since then, however, there have been efforts on both sides to revive the chances of a gathering, and White House officials are operating as if the meeting will indeed take place, saying they will be ready whether it happens June 12 or another date. Officials expect that President Trump will receive a letter Friday from Kim Jong Un himself, but its not known what it will say. Pompeo said Thursday that top North Korean official Kim Yong Chul is expected to deliver the letter to Mr. Trump in Washington on Friday. For more of Major's conversation with Sue Mi Terry, download "The Takeout" podcast on Apple Podcasts, Google Play, Stitcher, or Spotify. New episodes are available everyFriday morning.